Definately, at least to me, an improvement over their debut, this was finally the EARTH BAND that found their sound. No more of that New Orleans-type of stuff here, this is definately a more progressive album. Having been familiar with "Solar Fire" for much longer than I had this one, I am amazed how several of the songs on this album reminds me of "Solar Fire". For example, "Meat", which features Chris Slade doing the same kind of drumming as he would later do on "Earth, the Circle Part 2". "Look Around", "Our Friend George" and "I'm Gonna Have You All" all sound like they could fit nicely on "Solar Fire". I really like some of those heavy guitar solo found on "Look Around". The band also did a couple more "down to earth" numbers here. One was "Down Home", with a rather down home feel, almost like The BAND. The other being "It's All Over Now, Baby Blue", a Bob DYLAN song which was pretty much what you expect on an EARTH BAND album up until 1975. 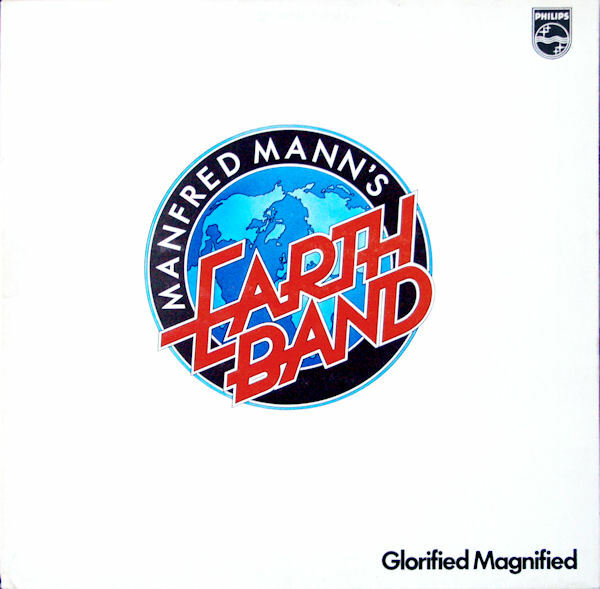 Also you get a re-recording of a MANFRED MANN Chapter III song, "One Way Glass" (originally on their 1969 debut), but of course this version has all the horns removed and done in the EARTH BAND fashion (including a Moog solo at the end). I own the American LP which has a black cover with the EARTH BAND logo (this was the first EARTH BAND album to feature that logo), rather than white like you expect on the British version on the Philips label. This is probably my second favorite EARTH BAND album outside of "Solar Fire".